Guided Tour up into the lighthouse and out onto the balcony plus museum entry. Adults $16.00 Child (5 to 16 yrs) $10.00 Family Ticket $42.00. Meet at the Kiosk in the Car Park. Tours between 10.am and 4.pm every day. Summer months hours are extended. A personal guide will take you up into the fully operational Lighthouse into the Lamproom and explain the workings and History in approximately a 20 minute tour, this includes a viewing out on the balcony. There are very few Lighthouse left operating in Australia that still have all the workings still in place and with the original Lens still shining its full distance. The museum is expanding all the time and is very informative with a listing of the many ship wrecks and stories from the descendants of the early lighthouse keeper families. 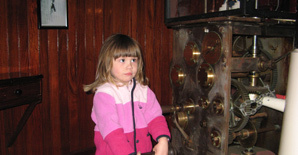 For those who cannot climb the lighthouse steps into the Lamproom we have the photos for you to view in the Museum. Open daily between 10am and 5pm for daytime visits. famous marsupial. 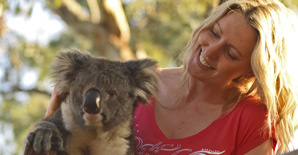 Koala encounter is commissionable if included in group programs. more active and responsive at night. Moonlit Sanctuary is fully accredited and received a 95% rating in the Tourism Victoria Excellence program audit. professional travel writer and Frommers author. 2010 winner of the ASPA (Australasian Spa Association)awards for the best natural bathing spa. 2010 winner Tourism Victoria awards for best Spa and Wellbeing facility in Victoria. into the many pools and private baths at this coastal oasis of relaxation. Australia’s first natural Hot mineral springs and spa centre. Over 30 different pools and bathing experiences. Groups of up to 200 at a time. day or night of the year. own pressure through the bore to within 10 metres of the surface, from where it is pumped to the pools. RACV Cape Schanck Resort’s magnificent 18-hole, par 70 championship golf course is consistently rated among Australia’s best 100 courses. Designed by renowned course architect, Robert Trent-Jones Jnr, the course has huge greens with large open bunkers, tree-lined fairways and spectacular ocean views on eleven holes. You do not have to be a member to book a round of golf. 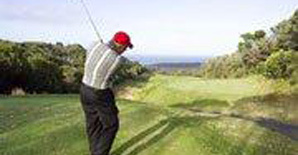 This eighteen hole Golf course is a real challenge with spectacular views over looking Bass Straight. Take an exhilarating and informative walk through the beautiful Mornington Peninsula. Enjoy breath-taking views of Bass Straight, Port Phillip Bay and discover a diverse range of landscapes. See species of birds and wildlife, varied vegetation and wild flowers with experienced professional walkers. Call them toll free 1800 804 009 or 03 5987 3078. Coast to Coast Walking adventure: A two day walk staying at the lighthouse. Offering spectacular views of Port Phillip Bay’s beautiful blue water and sand bars with the tall buildings of Melbourne on the horizon this walk begins at the base of Arthurs Seat. Enjoy a coffee at Arthur’s Restaurant before heading off on the gently undulating track with areas of boardwalks, bridges and steps. As the walk progresses you will see, views across to Bass Strait, fascinating birds and varied vegetation. Lunch pack provided and return to car park arranged by guide after a relaxing glass of wine or beer. Accommodation can be arranged at the Cape Schanck Lightstation. Meeting at Cape Schanck car park, we then travel together to Baldry Crossing to commence the days walk. This walk follows Main Creek through Greens Bush down to the beach at Bush Rangers Bay and finish at Cape Schanck. Fauna frequently seen includes Eastern grey Kangaroos, Black Wallabies, Echidnas, Koalas, Blue tongue lizards, Eastern and Crimson Rosellas, Kookaburras and Superb Fairy-wrens. Lunch pack provided. 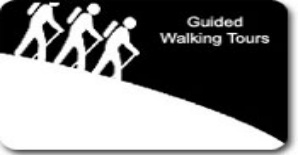 Level of Walk: Moderate 14 kms. Prices negotiated for groups in excess of 6 people. 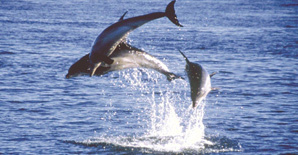 Polperro Dolphin Swims is a multi-award winning environmental tourism operation that offers you the opportunity to observe and swim with wild bottlenose dolphins in Port Phillip Bay, Victoria, Australia. The fully licensed vessel possesses a professionally trained and experienced crew to ensure that you have an unforgettable marine adventure. Passenger safety and the dolphins’ protection are of paramount importance, and so we purposely limit the size of our trips to guarantee a high standard of customer and environmental care. Our on-board facilities include change areas, toilet and a galley for serving refreshments. Wetsuits, masks and snorkels are all supplied. Reef and seal swims are often part of our trips, so be prepared to see and experience much more than just dolphins. Polperro Dolphin Swims offers a wide range of other services including Bay cruises, educational and historical tours, fully catered charters or a trip of your own personal design. >Established in 1974. Suitable for all ages. 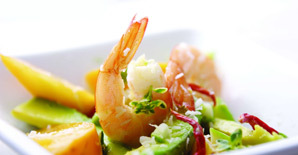 >Finalist in the prestigious 2010 Victorian Tourism Awards; Tourist Attraction category. >An iconic attraction on the picturesque Mornington Peninsula. >Just 1.25 hours drive from Melbourne. More than 4000 fragrant lavender plants. Special varieties that fl ower throughout the year. Over 60 different lavender varieties: French, English,Italian, Spanish & Lavandins. Display Garden with information plaques explaining types and uses of lavender. Demonstration Still showing oil production. Culinary Lavender – Lavender jam, honey, tea, shortbread, icecream, scones and more. Wide range of lavender experiences; tours, tastings, workshops. 25 acres spectacular Woodland Gardens. Year round beauty. Great photo opportunities. Deciduous Trees with splendid autumnal colour. Winter fl owering bluebells camellias, azaleas, hellebores. Free Garden Maps available in English and Chinese. 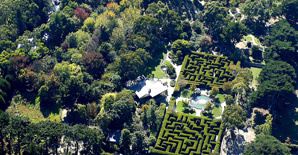 Australia’s oldest and most famous traditional Hedge Maze. During the warmer months, there a few places better than a table on the extensive decking, a magical place to while away the afternoon. In the cooler months, the gentle rays of the winter sun warm the restaurant as they shine through the windows. This includes Montalto’s own expansive herb and vegetable garden, fruit & nut orchard and berry garden to which chefs make daily visits, harvesting the best of the garden for use in the restaurant. As part of the regional dining experience, the wine list is not limited to the estate wines, but also offers selections from highly regarded Mornington Peninsula, Australian and international wineries.